AdSense is one of the easiest ways to make money online. It’s simple to setup and can work on (almost) any type of website or blog. The question that many people have is “How much can you make from AdSense?”. Is AdSense a way to make some real money online or is it just another marketing trick of Google? Those that follow my blog posts know that I’m a big AdSense fan and this is for a reason. I’m an AdSense publisher since 2008 and so far, I have earned more than $100K in AdSense revenue. It’s the monetization method I use for some of my websites and it has helped me make money from my content without having to do any extra work. Once your website is approved for AdSense, all you have to do is add the AdSense ads to your website and start making money. It sounds too easy and simple but this is how it is in reality. Of course, the actual amount of money you can make from AdSense depends on a number of things (levels of traffic, ad placements, niche etc. ), but this is the same for all ad networks and monetization methods. What AdSense does best is to give you a reliable platform you can use without worrying about security, payments, ad delivery or anything else. While AdSense is a great way to make money online, is not the most effective method. There are other methods (for example, selling your own products or services) that can generate more income and revenue from the same content and levels of traffic. The problem with the other methods, is that it requires a lot of extra work to create a product and convince people to buy it and make a profit. At the end of the day is up to you to decide what is the best way to monetize your website or blog. For some cases, you will find that AdSense is a better way while for other cases, it is more profitable to invest in your own products or engage into affiliate marketing. Calorie Secrets is a nutrition/healthy living blog launched in 2012 and until now (2017), it has generated more than $100K in AdSense revenue. What you see below are screenshots from my AdSense account. They are shown in different parts since over time AdSense has changed some of the reports (to get the full lifetime revenue, I had to run a couple of different reports). How to make real money with AdSense? Let’s see how you can replicate my steps and achieve the same amount of money from AdSense. Step 1: You need a website with a LOT of traffic. I know that for some people this is not good news but that’s the truth. In order to make real money with AdSense you need a website with a LOT of traffic and not just any traffic but organic or targeted traffic. The good news is that getting high levels of traffic is not as difficult as it sounds. 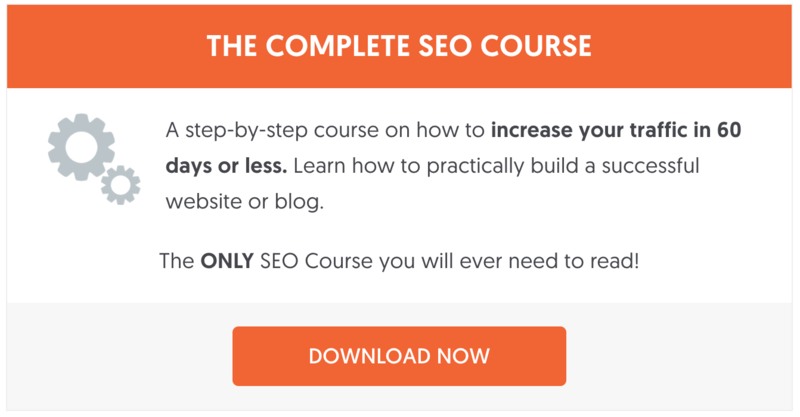 Those that purchased The Complete SEO Guide, have read how Calorie Secrets’ traffic increased to 500K organic visits per month in a couple of years. It’s not easy but with the correct SEO approach, everything is possible, even in the most competitive niches. 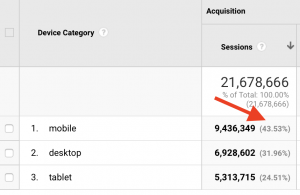 Go to Google analytics and check what is the percentage of your visits from mobile devices. Hint: You can find this report by clicking AUDIENCE -> MOBILE -> OVERVIEW. Most probably you will see something like the screenshot below where almost 45% of visits are coming from mobile devices (this percentage excludes visits to Accelerated Mobile Pages – AMP). Together with AMP, the percentage from mobile goes to 65%. First, you need to have a mobile friendly website. Second, you need to optimize your AdSense ads for mobile. For the first part, you need to ensure that your website looks good on mobile devices and it considers to be mobile friendly by Google. Your starting point is the Google mobile friendly test. Depending on the recommendations given by the tool, you can take corrective actions. Hint: Chapter 6 of The Complete SEO Guide, covers mobile SEO in more details. Also, it is highly recommended to consider adding accelerated mobile pages (AMP) to your website. If you are not familiar with AMP, read this guide: How to add AMP to WordPress. Note, you can also add AdSense ads in your AMP pages. For the second part, there are a number of things to do to maximize your AdSense earnings from mobile. Use advanced responsive ad units for mobile: While the best practice is to use responsive AdSense ads for both desktop and mobile, for mobile you can add an extra piece of code to your ad units to force their size on mobile. When you use responsive ads, AdSense will try and show the best size ads in the available space. When your pages are viewed in a resolution less than 400px, AdSense may decide to show a 320×100 ad or smaller. The best performing ad units for mobile are 300×250 ads. By adding a piece of CSS code to your ad units, you force the size to 300×250 on resolutions below 400px and thus you increase your earnings. Look how .adslot_4 is added to the top of the code (enclosed in <style></style> tags), and in the line starting with ins class=. Also, the display is set to inline-block and not block like standard ad units. For more information read this guide from AdSense: How to modify your responsive ad code. Important: Having a big ad unit (300×250) at the top of the page is against the AdSense guidelines but for placements after the first or second paragraph of content, you can use the 300×250 units. When a user visits your mobile website, you need to show them ads as soon as they start interacting with your page since this will greatly increase your CTR and earnings. Ads that are placed ‘above the fold’ on either desktop or mobile, always perform better. One of the nicest things about AdSense is that they come up with new products all the time to help their publishers earn more. Page Level Ads (mobile only) and Auto InArticle Native Ads (mobile only). They are very easy to setup. You only need to add a piece of code to your website’s header. They don’t count as ‘normal ad units’ so you can add them to your website without violating any guidelines. They are available for mobile only. To enable Page Level Ads, go to your AdSense account and click on ‘My Ads’ and select ‘Page-Level Ads’. Click the ‘Get Code’ button and add it to your header. Choose which Ad format to show (Anchor / Overlay Ads and Vignette Ads) – I suggest you enable both. You can learn more about page-level ads here. Once you enable the page-level ads, you will notice ads showing at the bottom of your screen and when users click a link to navigate to another page on your website (as shown below). To increase your chances of getting clicks from page-level ads, make sure that your content includes internal links to other pages for your website. This is also very good for your overall SEO. When you enable Auto InArticle Native Ads, AdSense will show additional ad units between your paragraphs (mobile only). Pages on mobile have a lot of scrolling and AdSense will decide where it is appropriate to add additional ad units in your content so that they are seen by the users. This is in addition to the ad units you may already have within your content. To enable Auto InArticle Native Ads, go to LABS and then click the ENABLE button next to ‘Auto InArticle Native Ads’. 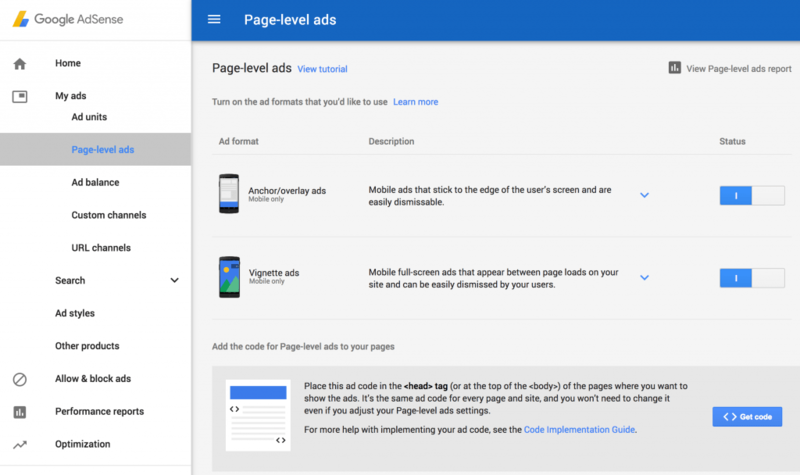 If you have already enabled Page Level Ads, you don’t have to do anything else since the code is the same. Note: Since this is a feature of Google Labs, it may not already be available in your account. There is a direct relationship between your AdSense earnings and site speed. The faster your website is, the more you can earn from AdSense. This is a fact for the desktop version of your website but more importantly for mobile. 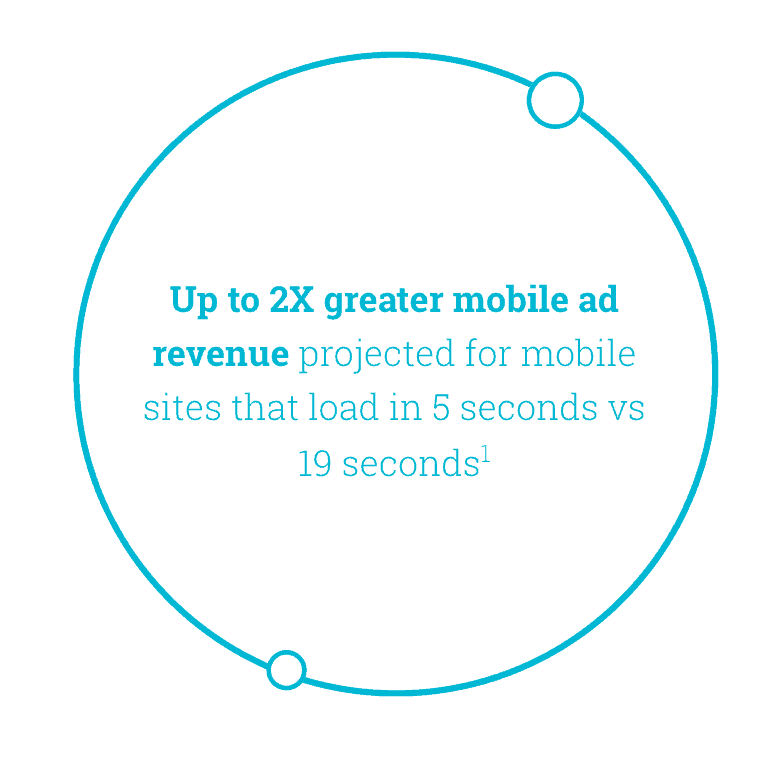 As stated by a recent DoubleClick study, mobile sites that load in less than 5 seconds, can earn twice in ad revenue compared to websites that take 19 seconds to load. In order to take advantage of all the ad types explained above, you need to have a fast loading website. Solving the speed issue is a difficult task especially if you don’t feel comfortable with making technical changes to your website. Nevertheless, every effort you make to improve the speed of your website, it will have a positive impact on your earnings and SEO. Go to the Google Page Speed Tool and get a report for your website. This will give you a very good idea on your current page speed score and what you need to do to improve it. Evaluate the performance of your server (with the help of the hosting provider) and get more resources if needed. Add AMP support. This will improve your page load time on mobile since pages are cached by Google. To maximize your AdSense earnings, it is necessary to keep experimenting and testing different ad placements until you find what combination works best for your website and audience. What worked better for me or other people, may not be the best solution for you. Noticed that I used the word combination of ad units and I will explain below why when testing it is necessary to look for the best combination of ads to use and not just concentrate on the performance of an ad unit alone. Bigger ads units can attract more ad clicks but not necessarily more earnings per click. The ad units that are higher in your content (above the fold) can generate more earnings per click, even though the ads are smaller in size. For example, you can place a 300×600 ad unit in the sidebar but the earnings per click can be less than the 300×250 that you have below your posts or within your content. Don’t forget that when a visitor clicks on an ad, it leaves your website and visits the website of the advertiser. This means that they have left your website without having an opportunity to view the ads that can potentially generate more revenue for you. Start by placing your ad units in the most obvious places. For example, on your posts pages (desktop) you can place an ad unit below the header, one ad below your first paragraph and one ad unit in the sidebar. Leave the ads running for a couple of weeks. If your traffic is low, you can leave them running for longer periods so as to have reliable statistics you can base your decisions. Go to your AdSense account and view the ‘Performance Reports’ and in particular the ‘Ad Units’ report. This report shows the number of views, clicks and earnings for each of your ad units. Take note of the CTR of each unit, earnings per unit and TOTAL earnings. Next, change the position of some of your ads. For example, you can keep the top header ad and the in-content ad but remove the sidebar Ad and add a new ad unit at the end of your posts. Keep this setup for a couple of weeks and review your AdSense reports. Continue the above tests until you find the best combination of ad units and placements that generates the most earnings. I have run the above experiments a number of times and found out that ad units that are placed within the main content perform better than ads in the header or sidebar. One responsive Ad unit below the 2nd paragraph. One responsive Ad unit below the 6th paragraph. One responsive Ad unit below the post content (above the comments). This is how it looks on the Calorie Secrets website. For mobile, I use the same responsive ads units within the content (but force the size to be 300×250 for resolutions less than 400px). I also use Page Level Ads and Auto InArticle Ads (as explained above). 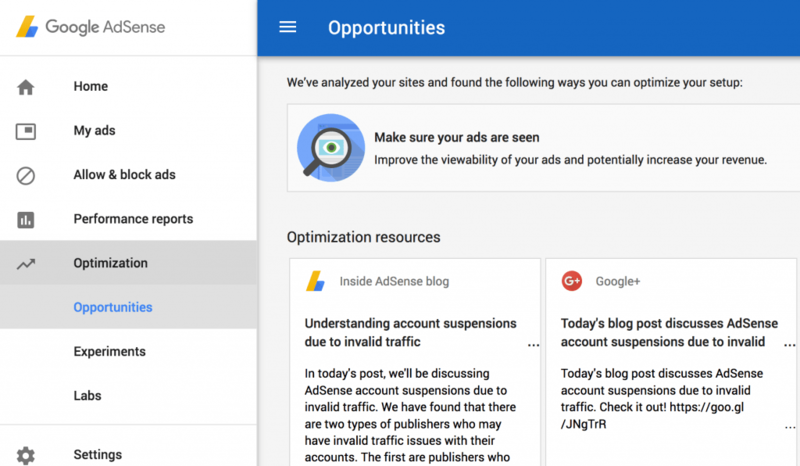 As mentioned above, every couple of months the AdSense team is releasing new features that are based on studies, different metrics and feedback they receive from users. Their main goal is to help publishers make more money from AdSense and from my experience most of the times, new features can actually help you increase your AdSense income. To take advantages of new features, login to AdSense and click the Optimization option from the left menu. Under Optimization click on the Opportunities tab. Evaluate the different products available for your account and don’t be afraid to test them out but don’t do it blindly. Always when testing a new feature make sure to look at your AdSense Performance Reports and evaluate whether a new feature has contributed in increasing your overall earnings. How long does it take to make your first $1,000 per month from AdSense? I know that in order to be motivated to work on your blog, you want to open your AdSense account and see a decent amount of earnings and not just a few cents per click. 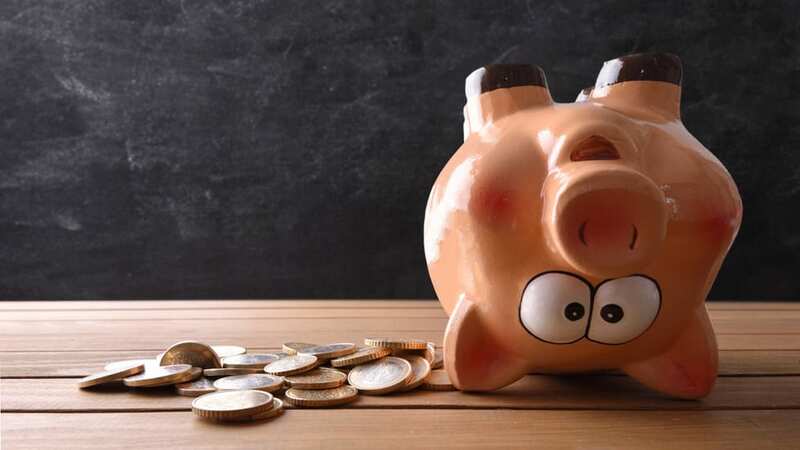 I know the feeling of login to AdSense (usually a number of times per day – I admit that this is a habit I cannot stop) and seeing only a couple of clicks to your ads that generate a whole $1 in total earnings. If you make some calculations, you can find out how long it will take you to make some real money from AdSense and this will help you focus on your work until you meet your target. Take it step-by-step, there is no magic way to go from 0 to $1000 per month overnight. It takes time and a lot of work. Before getting to the $1000 you will earn smaller amounts and as long as your keep working on your blog, the amount will increase. How long it took me to get to the $1000 from AdSense? For Calorie Secrets, it took me exactly one year. The blog was launched in April 2012 and by April 2013, I was making $950 per month from AdSense. That amount increased dramatically after that since the traffic of the website took off. Before getting into the calculations part, let me say that it took me one year to get to $1000 per month but this is not a period you can take for granted. 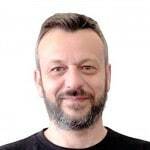 As you can read in the SEO Success Story (Chapter 16 of the SEO Guide), I had a number of years’ experience in the weight loss niche and I was an AdSense publisher for over 4 years before starting Calorie Secrets. This gave me enough knowledge and experience with blogging and AdSense. How to calculate how long it will take you to get to $1000 per month from AdSense? You can do some simple calculations to find out how much you can make from AdSense. Note: This is just a rough estimate and it does not guarantee any results. If you already have AdSense running, login to your AdSense account and look at the Entire Account by Month report (located under Performance Reports). Click on the CLICKS tab and look at your average CPC. This is how much on average, you earn from every click on your ad. Take note of the average CTR (Click Through Rate). This is the percentage of people that click on your ads, compared to the number of people that viewed your ads. Let’s say that your average CPC is $0.17 and your CTR 1.26%. By doing the following calculation TRAFFIC X CTR X CPC you find your estimate earnings for an X amount of traffic. 1000 X 1.26% X $0.17= $2.14 AdSense earnings per day. 15000 (Visits per day) X 1.26% X $0.17 = $32.13 per day X 30 Days = $962 per month. An alternative way (provided that you have enough data in your account), would be to look at the impression RPM column of the report. This number tells you how much you can earn per thousand ad impressions. 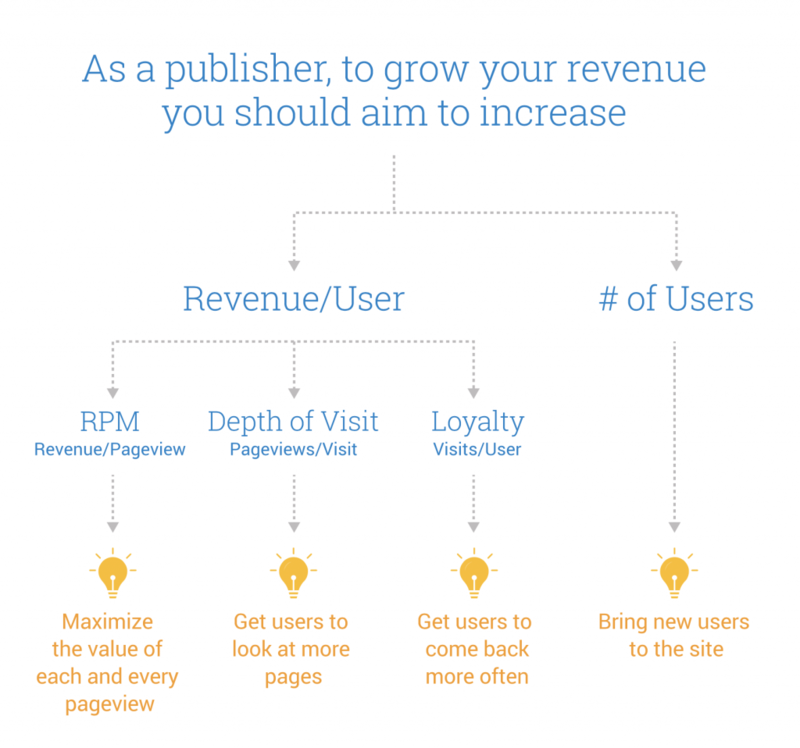 To sum up this section, as an AdSense publisher you need to understand that your earnings depend on three things: traffic levels, position of your ads (has a direct impact on CTR) and earnings per click (which depends on the niche). Earnings per click are different per niche – While doing the calculation on how much traffic you need to get to $1000 per month from AdSense, have in mind that earnings per click are different for each niche. For example, ads on a digital marketing blog can generate $1.50 per click, ads on a fitness blog can give you $.040 per click and ads on a news related website $0.10 per click. So, before deciding that AdSense is the right monetization model for you, run some reports through SEMRUSH to see the estimate earnings per click. Note: The estimated CPC is what Advertisers will pay in AdWords. Your Earnings Per Click is approx. 70% of that number (the rest goes to Google). Keep your design simple – I see a lot of ready-made themes that have support for AdSense, but in the majority of cases, the design ‘hides’ the ads from the user. Width of the main container should not be more than 700px – you need to keep the users concentrated on the main content of the site so that they can view the ads. If you go for a full screen design, then the ads will be pushed outside the center of the screen and this increase ‘ad blindness’. Google takes AdSense fraud seriously and you don’t want to get into their radar for any reason. Creating your own AdSense success story is not impossible. With the right plan and LOTS of hard work, any website owner can use AdSense to make money online. Create your website and try to increase your traffic. Learn SEO and apply the concepts to optimize your website for search engines. Keep your design simple but don’t make it look like it’s MFA. Respect your users and their experience. Give them incentives to re-visit your website. Do some rough calculations and set different goals (how much traffic you need to get to X amount of monthly revenue). Be patient and work on your goals. What is your experience with Google AdSense? Share your AdSense success story or questions. Awesome guide! Thanks for sharing. You’ve done a great job at laying out the steps while not making it seem overly easy to accomplish. Your blog continues to motivate me to do something I think of far to often without taking action. Thanks a lot for your comment. I know the feeling of ‘thinking’ and not ‘doing’ but the sooner you start ‘acting’, the sooner you will reach your goals. Thanks, Alex for sharing great information to earn more money with AdSense by following this steps its really helpful for me to increase Adsense income. Everyone is using Adsense on their blog, but they don’t know how 300×250 size banner and responsive banner makes huge money for them. Thanks for the true value. Every time you share an epic piece of content and Yes, Good things take time. That’s true 300×250 it’s the best performing unit. Thanks for this great post. I am also struggling to make money from Google AdSense. I think that this post will definitely helps me to increase my AdSense earning. It was a compact elaboration about adsense success story. I feel too much confident regarding adsense as my future career. The article was so easy to ready and interacting and helped a lot. Thanks for sharing great advice on using AdSense in website. Thanks for sharing this great post, this helps us all money maker people from Adsense. I am also finding how to make money from Google AdSense. I think this post will definitely help me to increase my AdSense earning. Nice article I took some advices from this and I will try and experiment with them. I hope that it will helps. I think that making money from adsense is just a lot of experimenting a little bit mathematics and working hard – at least from the begining. 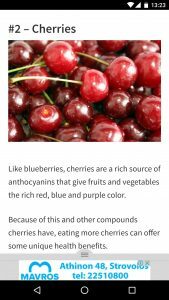 Just started my health site, let see if its get the approval of adsense. I will follow your tips for sure. Motivated, am using adsense 4 months now and still getting very low amount, but now i knew where i need to improve, thanks for this awesome article. Thx for sharing. A lot of useful stuff I needed for my SEO blog. Many thank Alex for this adding value article. Good job! Thanks for this, I have been able to cross the $1000 mark by using your example of forcing 300×250 on the ad below the first paragraph. I have created a blog post for a high CPC keyword and it is ranking on the first page. But I’m not getting that much of CPC from that blog post even after Ads click are there. Please tell me why? It is a high CPC keyword. Should I ask to any USA or Canada user to click on any Ad? Asking other users to click your ads is a violation of adsense guidelines and can get your account banned for life. Don’t try this or any other techniques that might get you in trouble. The amount you get for a click depends on a number of factors like quality of traffic, type of ad, relevancy of the ad with what the user is searching, ad location, country of the searcher, country of the publisher, country of advertiser, and many more factors that are outside your control. Your best course of action is to keep improving your website with high quality content so that gradually you will increase your traffic and get more natural ad clicks.